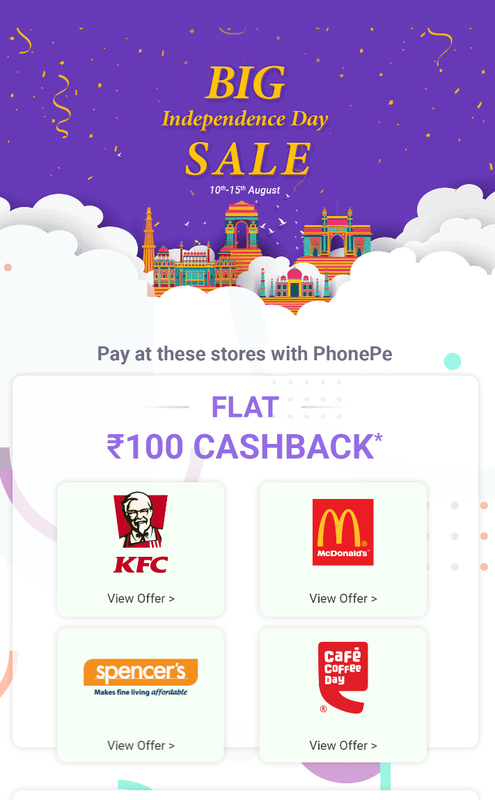 We are back with a bang offer i.e., PhonePe Big Independence Day Sale - Get Flat Rs.100/- Cashback at KFC, McD, Spencers and CCD. This post is about PhonePe Big Independence Day Sale - Get Flat Rs.100/- Cashback at KFC, McD, Spencers and CCD. Follow the above steps carefully. If you have any quires leave a comment below.